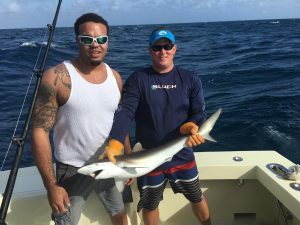 The deep-sea fishing off Fort Lauderdale was once again spectacular yesterday. The Lady Pamela II caught some silky sharks, and all of our boats that were kite fishing with live goggleyes had shots at sailfish. 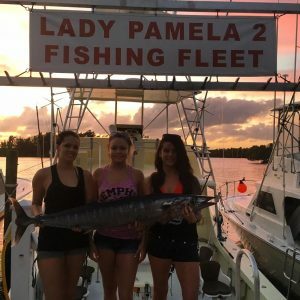 One of the Lady Pamela boats got two sailfish and some big wahoos. There was also a 9 foot tiger shark that grabbed a bait off the kites. Now that was exciting! 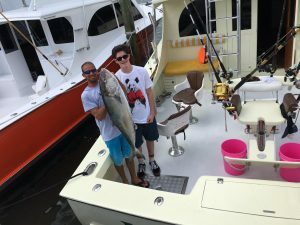 Dolphin, king mackerel, and blackfin tuna are still to be had as well. We are wrapping up the best late December fishing I have seen in a while.